I’m quick to say “I’m here when you need me”, then send that call to voicemail because I don’t want to be bothered by a time-consuming conversation. Or I’ll graciously offer to lend a helping hand until it’s a task I despise (moving anyone? ), and because I’d rather not be inconvenienced I suddenly become unavailable. Perhaps, and this may be the saddest of all, I’ve said I’d pray for someone, but I’ve allowed other things to garner my attention, and fail to go to God on their behalf. Ouch. 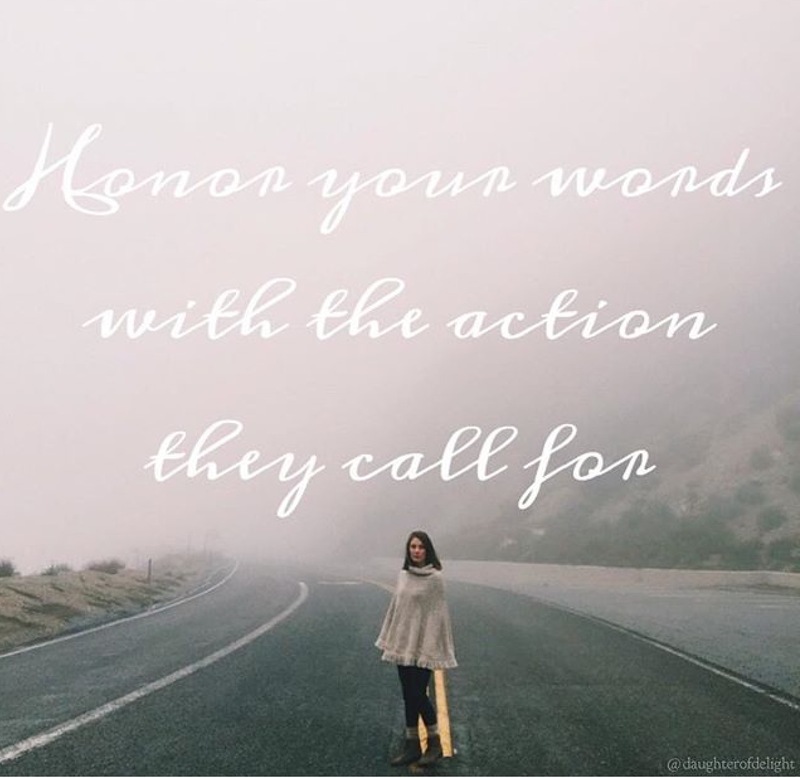 This is a humbling realization, but it’s necessary for me, for us, to be women of our word…. Click here to read the rest of this devotional at Daughter of Delight!